Regardless of the length, you want to keep, Black Hat, beard oil is one of those beard oils that you can use on a regular basis. It does not leave a greasy, itchy and dry skin. This fragrance-free oil is a blend of unique, essential and carrier oils that combine to make your beard hair look younger, smoother and manlier. If you have recently started to grow a beard, you would know that short facial hair usually has coarse curves that cause irritation and itching. On the other hand, long and old hair starts dehydrating too quickly, leading to flaking and damaged hair. Our special beard hair care formula works magically to provide you with a list of essential nutrients that keep your beard in a perfect shape and health. It is rich in Vitamin E which keeps your beard hydrated and well moistened. A careful selection of an oil blend works together to restore damaged hair and bring back the youth of your hair. You can apply it to dry or damp beard. Put a small quantity of black hat beard oil on palms and thoroughly rub into the beard. It can be used on a regular basis. The Henna Guys take pride in producing one of the finest quality beard oils in the market. Our Black Hat unscented beard oil is a combination of carefully selected essential oils that have the ability to keep your beard well-groomed and in great health. By not adding any harmful chemicals to our products, we ensure that our beard oil is safe to use. If you are a young beard growing enthusiast who wishes to maintain short beard hair, Black Hat beard oil is a perfect choice. We are confident that once you start using this product, all your beards complaints would fade away. Caution: For external use only. Keep away from eyes. Do not apply to injured/wounded skin. This beard oil has become my favorite beard care product. 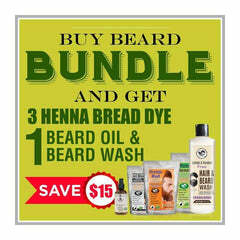 It is an effective solution to keep the beard hair healthy, soft and groomed.